Love the idea of living in a classic converted school bus? 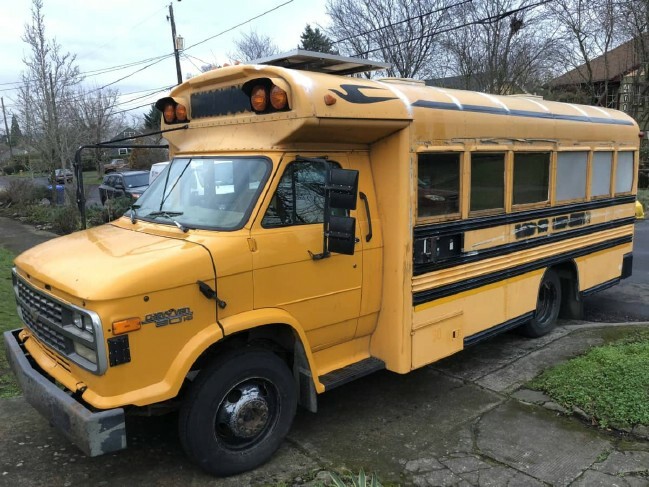 If you have been searching for a bus to turn into your future home, there is a great opportunity to purchase one partly-converted bus for just $4,500 right now. 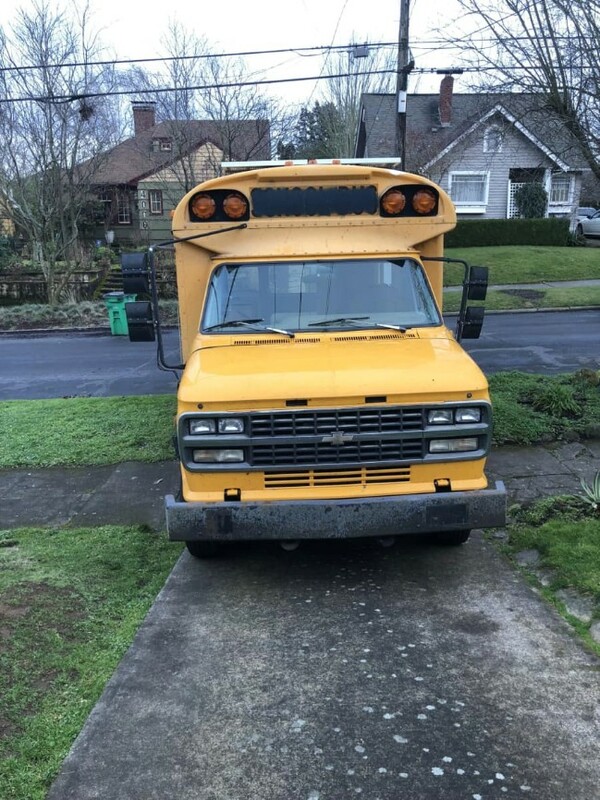 The bus is currently located in Portland, and is a 1995 Chevrolet which runs on a gas V8 motor. The owner, Joseph, reports that the bus has 110,000 miles on it right now, and that it operates smoothly and reliably. 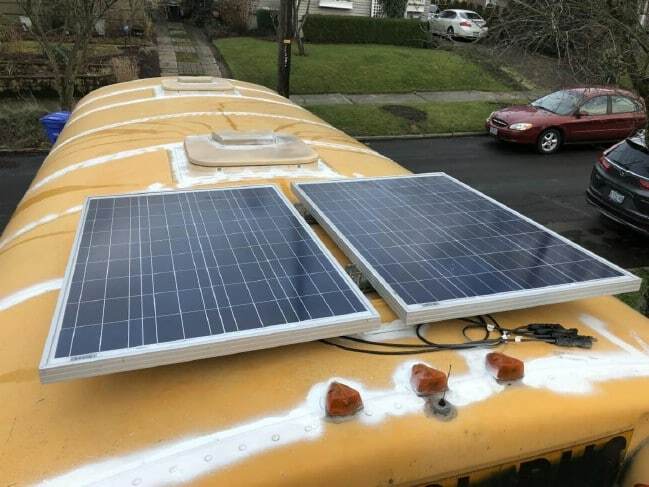 While the bus is unfinished, it does have a 120v plug as well as some solar panels. A charge converter as well as an inverter are included when you purchase the bus, but batteries are still required, as is the wiring. On the outside, the tiny home appears very much like an ordinary school bus. 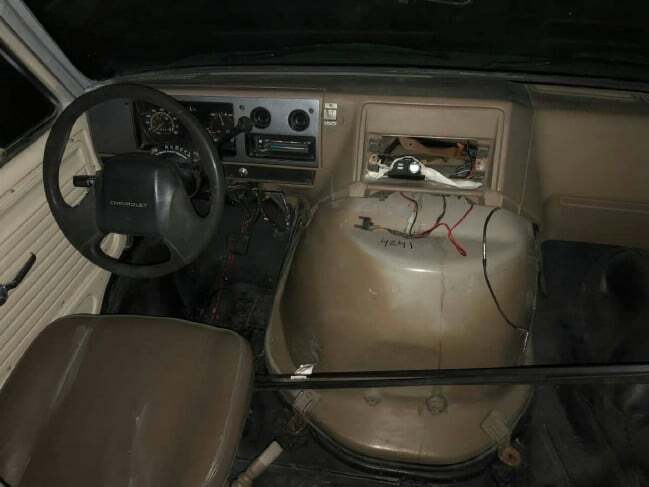 It looks like the front dashboard could use a bit of work in the wiring department. 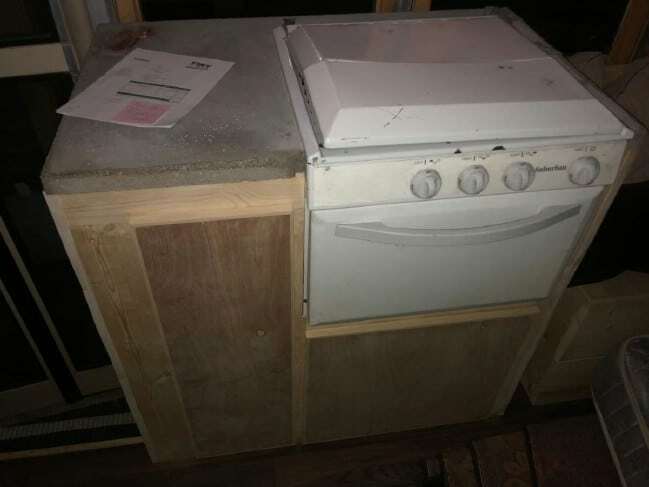 An oven and cooktop have been set up in the tiny house. 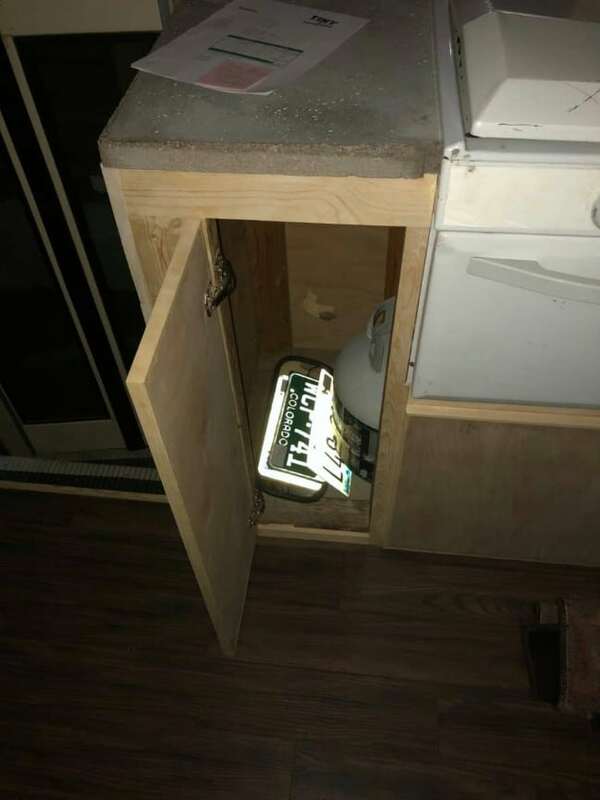 Some storage is already included for the kitchen as well. 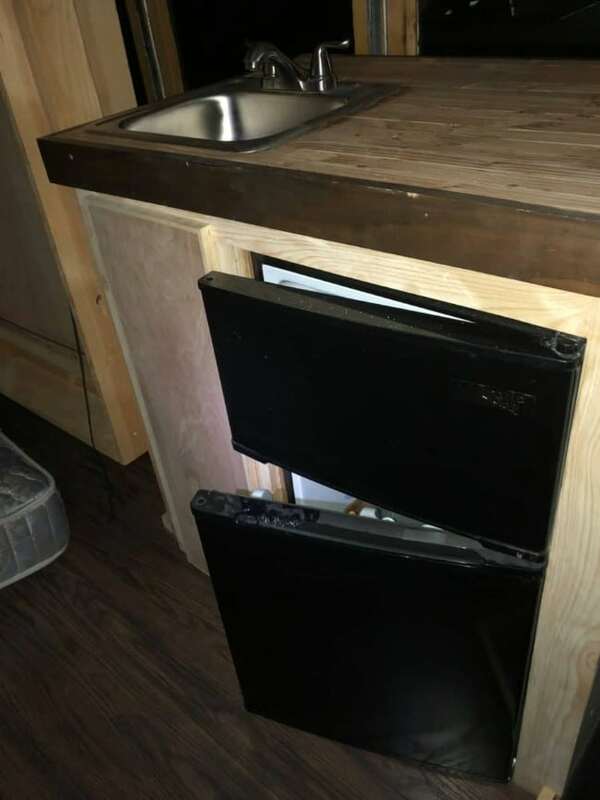 Here you can see the mini fridge and freezer under the counter along with more cabinetry and the sink. 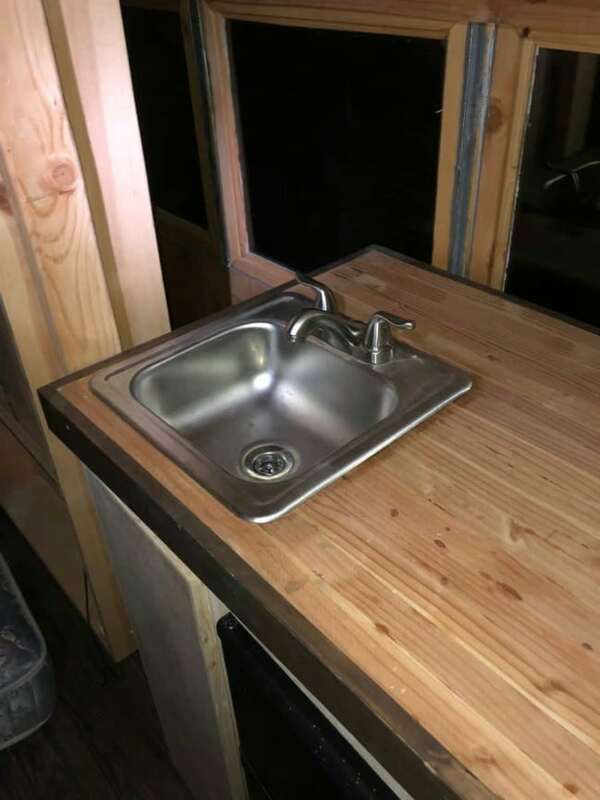 While the sink and faucet are quite small, they should be plenty big enough for most tasks. 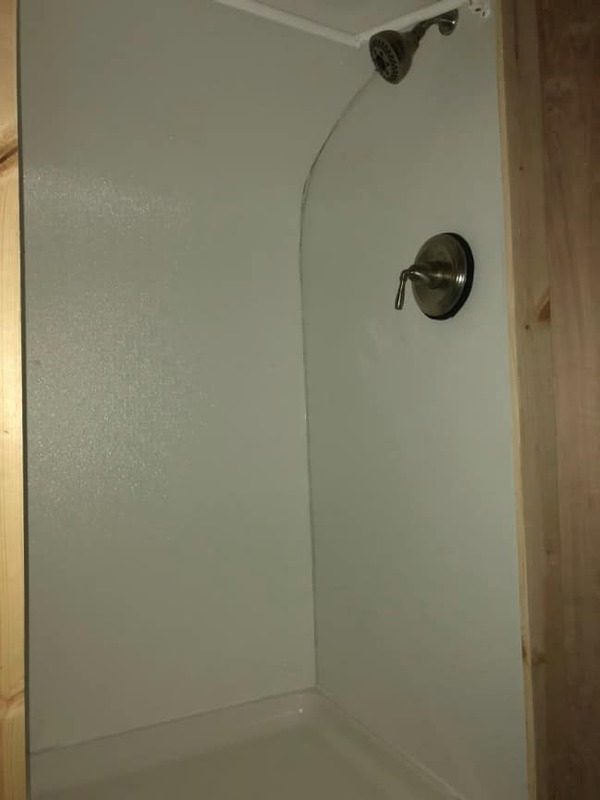 My own tiny house sink is not much bigger than this. While it can sometimes be a challenge dealing with really large cookware, on the whole it works just fine in a tiny space. There is a kind of clothesline system here it appears. 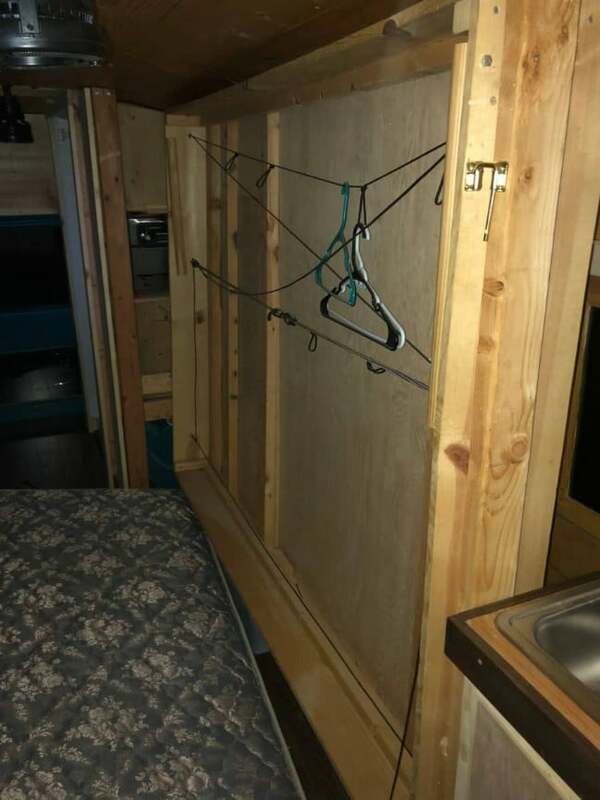 I’m not sure if this is meant to function as closet space or something else. 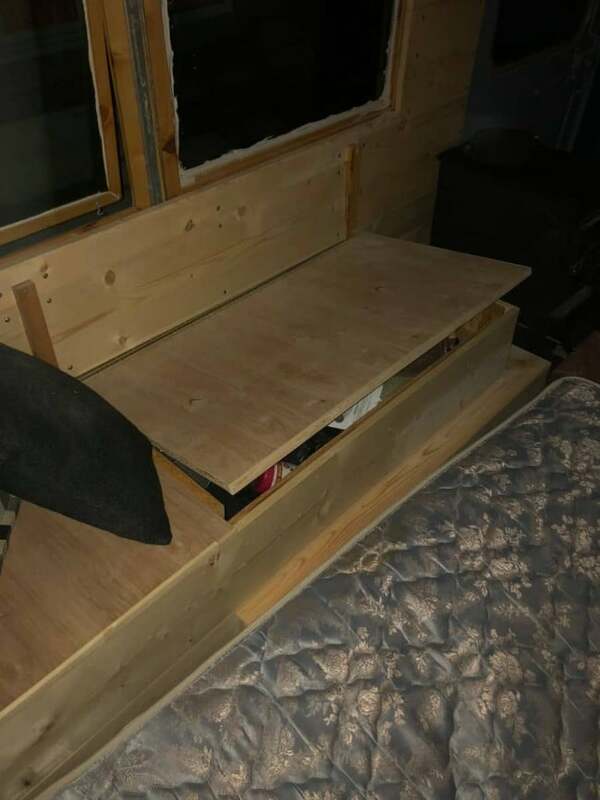 There is hidden storage inside the bench under the windows. The bus even has a shower set up and ready to go. 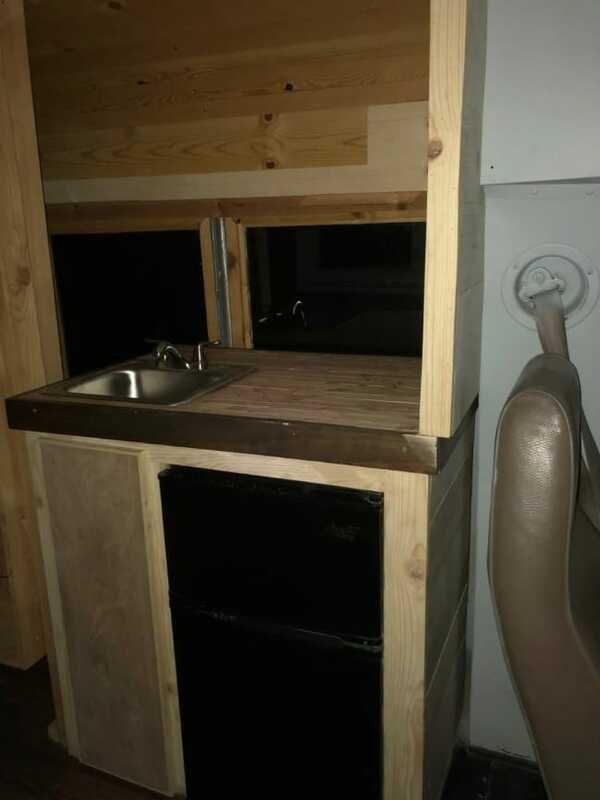 In all, you can enjoy 120 square feet of space in this tiny converted school bus. Originally, it was listed for $10,000, but the owner has been dropping the price steadily since March of this year. It is advertised as “nearly finished.” Whether that status is accurate or not probably depends on your own subjective concept of “nearly finished.” To me it looks like there is still a lot of work left to do, but the vast majority of it has been done. Joseph writes, “I would love to get the price mentioned earlier but am open to any offer. Really just want it to go to a good home.” In short, this is a guy who put a lot of hard work and dedication into his project, but he’s more than ready to move on and do something else. So I am guessing you could probably name your price here. Personally, I wouldn’t offer less than the $4,500 currently being asked; it is already way less than the home is probably worth. Want to find out more? 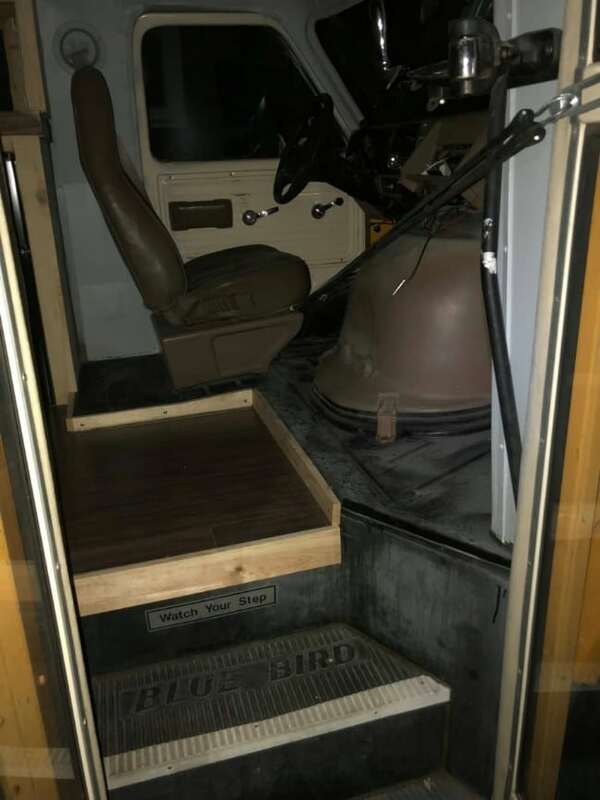 View the listing for the converted school bus tiny home here, where you can also contact the owner if you wish to make an offer. Looking for one asap , need to travel with multiple dogs long dinatance over cold winter time with multiple stops.